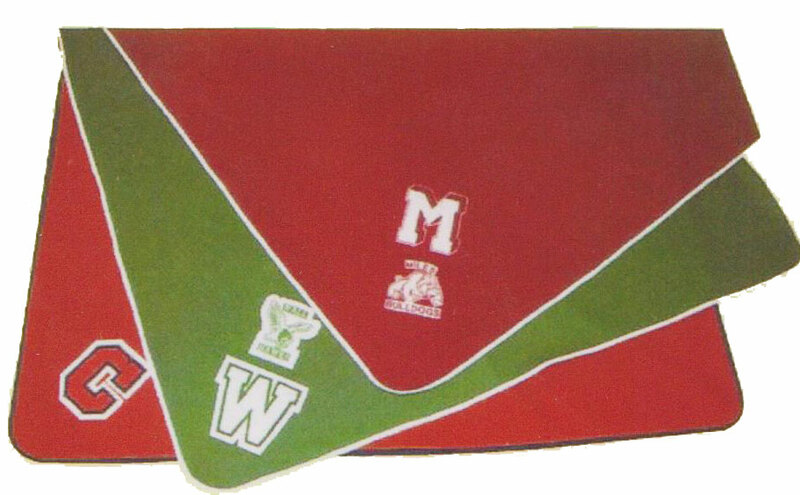 Our letter blankets are made from 100% melton wool with a contrasting edge binding all in school colors. Your blanket can be customized with an 8 or 10 inch school letter or mascot sewn on the center. 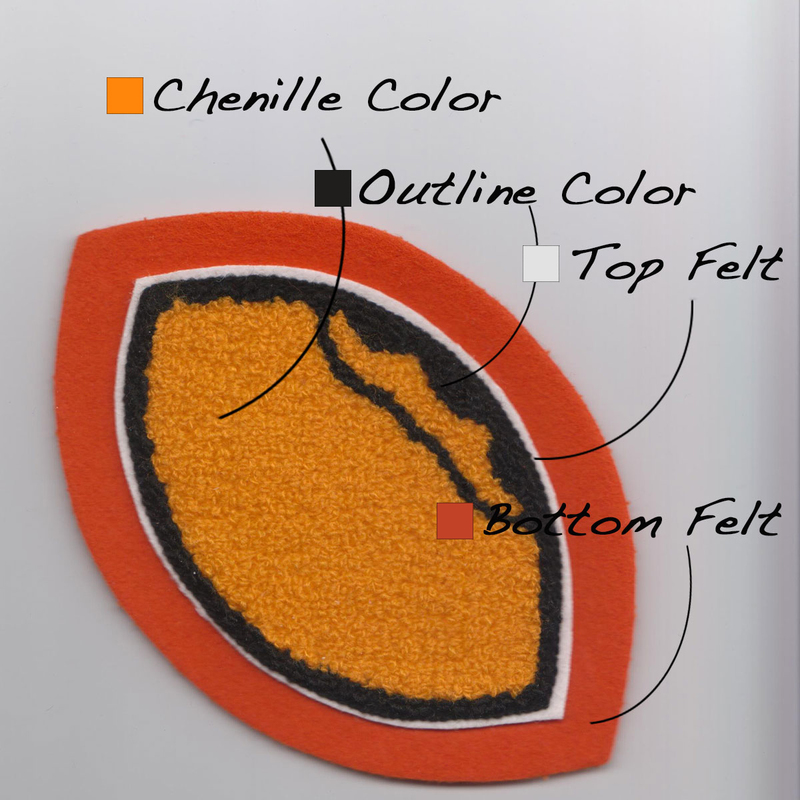 We can also put a 3 inch embroidered or chenille name patch diagonal on one of the bottom edges. Achievement patches such as a footballs, basketballs, volleyballs, etc. with DISTRICT CHAMPS, 1ST TEAM ALL DISTRICT, etc. can also be sewn onto the blanket. Options for blankets are endless so please contact with any questions.